Imprinted by the fascera during the molding process. 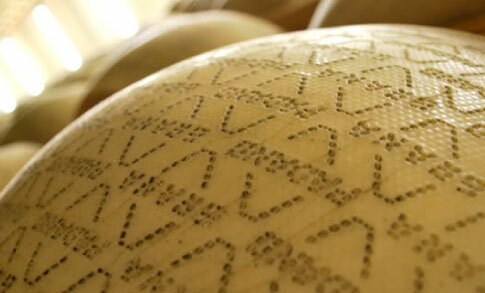 The rind of the wheel reads “GRANA” and “PADANO”. The diamond shapes are printed around the entire rind, covering the entire edge of the wheel, thus allowing to identify GRANA PADANO even when sold in portions.